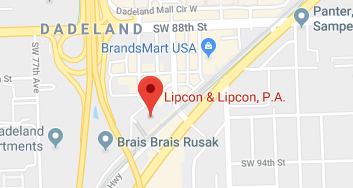 David W. Lipcon was hired by the parents of a 16 year old child who was on vacation in the Florida Keys this past Memorial Day weekend. He and members of his family rented personal watercrafts (waverunners) from a popular tour company. The tour was filled with other customers, as well. At some point during the ride, the tour guide slowed down to discuss marine life that was in the area. It was then that W.R. was violently crashed into from behind by another rider who lost control of his waverunner. The impact was so violent, W.R. was thrown from his vehicle, into the water. He was rescued from the water and brought to the local hospital where he was then airlifted to Miami for emergency treatment. The crash broke his shoulder, shattered his ankle and caused multiple herniated discs in his neck. He had to undergo two surgeries. David W. Lipcon was hired to bring a claim against the Waverunner Tour Company for negligent instruction and supervision. During the “Discovery” phase of the litigation, Lipcon learned that the company failed to provide adequate instruction to its riders as to what to do when needing to avoid a collision, how to keep a safe distance from other riders and how to take evasive action in case of an emergency (inexperienced waverunner users generally don’t understand that to take evasive action, the throttle must be used, instead of released. This is counter-intuitive from what one would do in taking evasive action when driving a car or a motorcycle. None of this was explained to the plaintiff or his family. The Tour Company, during litigation, tried to rely on a “waiver of liability” that was supposedly signed by its customers prior to the tour. Lipcon was successful in having the court rule that these “waivers” were irrelevant as they did not comply with Florida Law.